Now, I didn’t really have a clear idea as to what this was, just that someone was going to be taking a lot of coke. Everything indicates that. Then the story started unfolding, and it was nothing like I was expecting, but I was hooked. I can listen to James McAvoy go on for ages, he is just amazing, and this movie was no exception. He was enthralling and reprehensible at the same time but kept you guessing as to what was going on, the story with his wife as well as rooting for him despite the fact that he is a tool. The characters that surround him added to the story, and the events as they transpire are never boring. What starts as an incredibly entertaining comedy quickly gives way to darker humour, more serious, and then total anarchy of the mind, and the trip is totally worth taking with Bruce. As reprehensible as the man is, you sort of continue to root for him to get his life back together. I felt so sorry for Clifford Blades, he was so awkward and a genuinely decent person, and it was rough to see how things went with him and Bruce. I thought the story progression was very good, too, and I enjoyed the camera work. The film entertained me no end and had no dull moments and delivered exactly what the title would suggest. It was done very well though, and never actually had me squirming and uncomfortable, which says to me it wasn’t the way it was just to be disgusting, there was actually a point to it. I liked the performances all round, though the best for me was, undoubtedly, James McAvoy, though he is closely followed up by Eddie Marsan, whom I thought was perfectly cast. I cannot explain it to you, he just sold Clifford to you. I also liked the little plot twisty thing that came in later. I didn’t really expect it and I loved it! The score also worked exceptionally well for this film. I found this to be a fantastic movie and I would highly recommend this, though probably not for overly-sensitive viewers, it might be offensive. Had I seen this last year it would certainly have made my top ten film list! This entry was posted in Movies and tagged Eddie Marsan, Filth, James McAvoy, Jim Broadbent, Joanne Froggatt, John Sessions, movie reviews, movies. Bookmark the permalink. Hmm – Great review, Zoe! I dunno… I’ve avoided this film because I don’t really like when the main character is a wanker. Maybe I’ll check it out if it shows up on Netflix eventually. : ) I do like Trainspotting. Thanks Miss Mutant… trust me, this is well worth the watch, wanker or not, Bruce is just captivating and the movie is incredibly good. It worked! WANKER???? WTF??? YOU’RE A WANKER!!!! Marvellous Zoe. Great to hear you enjoyed this so much. I had a lot of fun with it too. You already know my feelings on it but I still can’t praise McAvoy enough here. Outstanding performance. Thanks Mark! Your review definitely got me pushing to see this more, and it was so well worth the watch. McAvoy… I think we can both wax lyrical about his performance in here. Your review was spot on about this. Just… wow. And you are right, it is a pity he would get overlooked for a performance like this, it was perfect! Brilliant review! I loved the film and James Macavoys performance. I think he is a brilliant actor and I love many if his films. He is a nasty piece of work, totally mixed up and cruel. The film and book highlight mental illness as well and shows that even the most successful can suffer mental illness. Despite how bad he is there is a glimmer of someone nice and you still hope for a happy ending for him. Thank you very much. Ah, McAvoy just shone here. I absolutely love the man and feel that he is a fantastic actor. I really liked how they played on that mental issue, and how they got it down to such deep and fundamental levels, I thought it was so well done. He is such a jackass yet you DO hope that everything comes right and that he can get back on track, be a nice guy, so you root for him the whole way through. Nice review Zoe. Have been meaning to check this one out. Love that poster up there as well by the way. Very cool visuals. Thanks Tim! I would highly recommend it, well worth the watch. Hahaha, it is quite a cool one, I must agree! I love this movie! It was so much fun and yes, McAvoy is an incredible actor. 😀 I am so glad to hear that Luke! He is so impressive! Excellent round up. I loved Filth. I really think it did a great job of use shock value for effect and to send a message rather than just being shocking. And McAvoy was excellent. Thanks Abbi! They definitely balanced that perfectly, and McAvoy truly carried this well! People have been telling me to see this forever now, but I haven’t because I don’t care much for McAvoy. But now you tell me Shauna MacDonald and Imogene Poots are in this? I’m in! You don’t like McAvoy?! I don’t even know what to say to that! You really need to see this, it’s very good! Some people you just don’t like… I’m sure it is all on my end. Fair enough. As long as you remain a non-Jack Black fan the world is then still fine. You will NEVER have to worry about that. Yes Zoe!! This movie is one of my favourites from the past few years! McAvoy is f-ing phenomenal here, love the supporting turns as well :). Excellent article! Thanks a mil Joseph, this was just really awesome and I had a total blast with it. This is definitely something I could see you enjoying haha! McAvoy just stunned again, as always! Haven’t seen this one yet but I’ve heard a lot of good things. Great review. Thanks a lot! I hope you get the chance to check it out sometime! 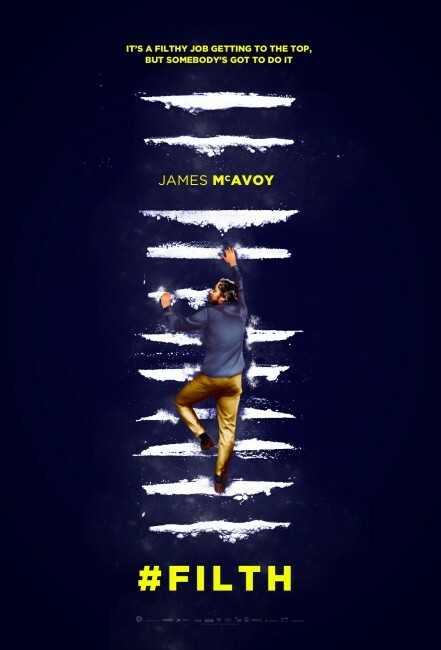 Haven’t had the chance to see this one yet but I’m a huge fan of McAvoy. Great review, Zoe. Thanks Ryan! I am actually sure that you would enjoy this one! I actually still haven’t seen this one, but I will change that at some point. Why? I keep seeing so many people call it really good, a consensus to which you’ve now been added. Sounds like something I need to seek out. 🙂 I did the same, kept putting it on the back burner even though everyone said it was good. Then I got to it and it really was worth it. Great stuff Zoe. McAvoy is out of this world here; a real revelation from an actor I hadn’t had much time for. Thanks Mark! So glad to hear your opinion has changed. I thoroughly enjoy him!